Eurogamer awarded Scribblenauts 7/10 in September 2009. John Walker found it "hard to believe anyone could play for more than six or seven levels before just typing in random things to see if they're there and whether they can beat Cthulhu in a fight". 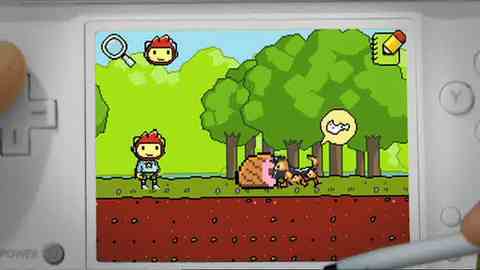 2010 sequel Super Scribblenauts went one better, scoring 8/10. Christian Donlan reckoned "whether or not you think Super Scribblenauts is a genuine classic depends on how much you like making dinosaurs attack each other, ultimately – but either way, it's unquestionably the game that Scribblenauts should have been the first time around".